Regular readers know that I’m a big fan of self-care. As a parent, we spend a huge amount of time taking care of others and often forget that we deserve treats too – perhaps now even more than before the little people arrived. 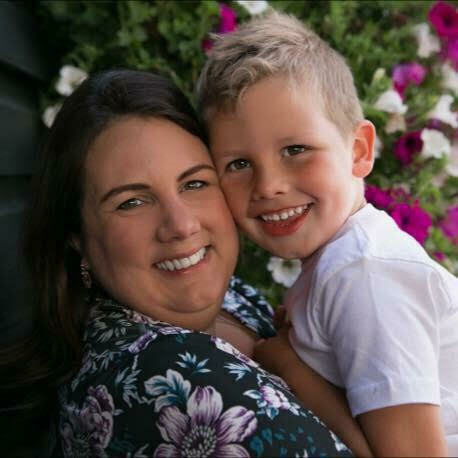 It may seem selfless to dedicate all your time and money to your family but actually running on empty can be detrimental to our kids as we’re likely to become more short-tempered and low. If they see us taking care of ourselves and making our needs a priority then they are ultimately learning the importance of balance and kindness in life. I actually have more hobbies now than I did before I had Caterpillar – and I consciously try to make more time for them. Whether you love crafting, sport or enjoying a nice glass of wine – it’s vital you take a tiny portion of each day to indulge in those small treats if you can. Also, money is tight for lots of us when we have young families but if you can afford a few pounds to give yourself a gift then all the better. 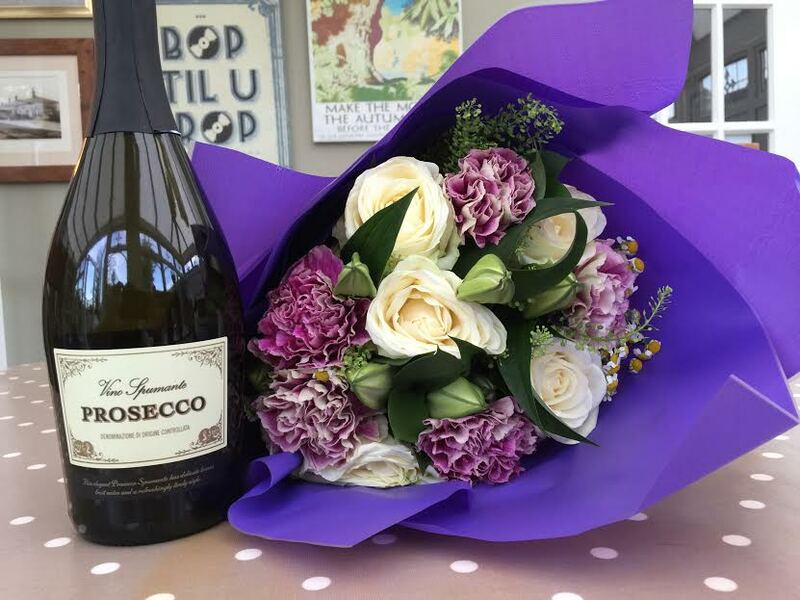 With all of that in mind I’ve teamed up with Blossoming Gifts this week to offer you the chance to win a beautiful bouquet and yummy bottle of Prosecco to enjoy simply for being you – a reward for the hard graft we put in every day. Blossoming Gifts offer an enormous selection of flowers, plants, wine & presents to suit any occasion. They are much more than just a florist and even offer personalised gifts and hampers (I may have to put this chocolate hamper on my next self-care list!). Their website is really easy to use, with functions for searching by occasion, recipient, price and more. They are kindly offering one of you the chance to win this lovely Pink Bunting & Prosecco Gift Set, a little indulgence for yourself or if you know another mum who needs a lift you can arrange for her to receive the gift instead. 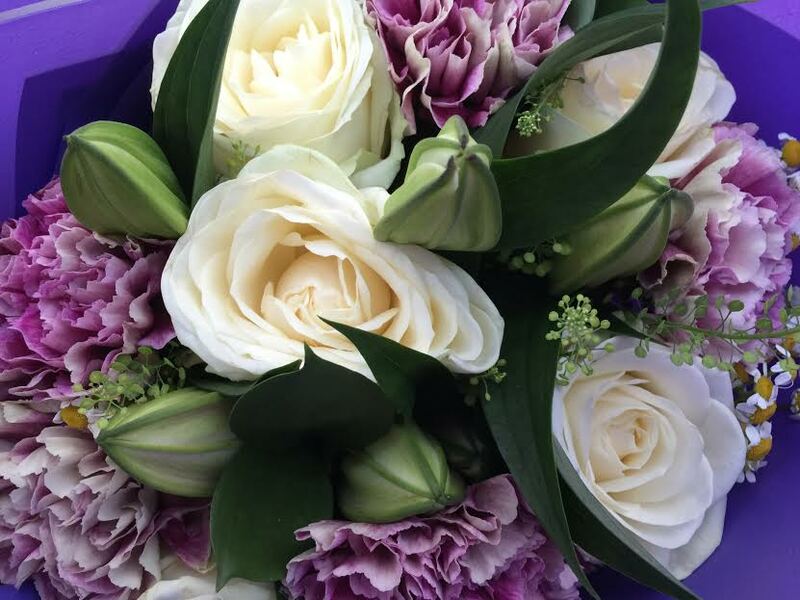 The bouquet is absolutely beautiful – pink oriental lilies, sweet avalanche roses and unusual antique carnations in vibrant feminine colours. The blooms are really high quality and delivered with freshness in mind. I particularly like the lilies which come out a few days later and add a huge burst of colour and fragrance. As an added bonus, the set also includes a bottle of crisp, tasty Prosecco which was much appreciated after the last few days I’ve had with my threenager! For your chance to win this great gift set – either for yourself or a friend – simply enter below. And to see more of what Blossoming Gifts have to offer visit www.blossominggifts.com. Disclosure: I received these flowers in exchange for an honest review, words & opinions are all my own. I would love this treat for my daughter it would make her day. She is a working mum so doesn’t treat herself she makes sure the children always have or do something nice. It would be lovely for the children to give her this lovely gift. 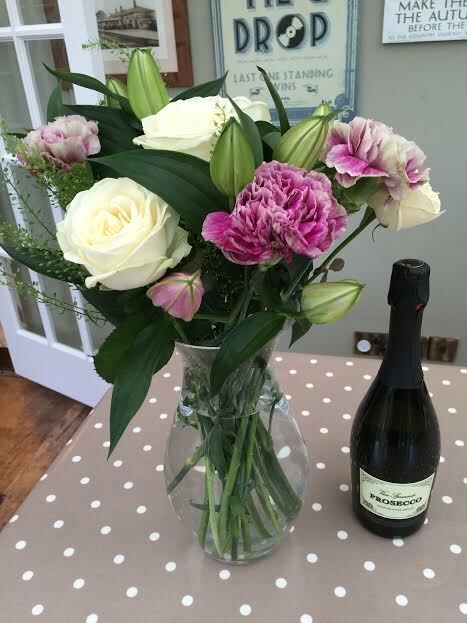 Oooo lovely – we always have fresh flowers in the house and these are lovely! love this prize, just for me and call it grandparents pressie no one believes in it 11th of sept i believe.